carat-online.at - Austria, Vienna and worldwide via our online-store. Where We Serve: Austria, Vienna and worldwide via our online-store. 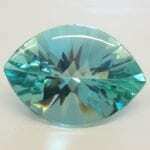 Retail of fine loose gemstones, operating Europes leading B2C online-shop.